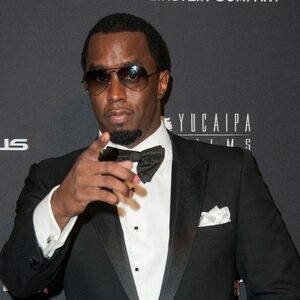 Sean Combs AKA Diddy or P. Diddy, is an American rapper, singer, record producer, actor and men's fashion designer who has a net worth of $855 million. 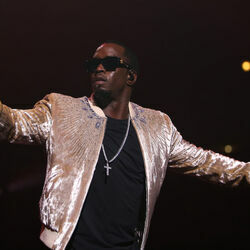 Sean Combs has earned his net worth from his group named "Diddy – Dirty Money", as a talent director for Uptown Records and then as founder of Bad Boy Records. He runs all of his business interests under an umbrella company called Bad Boy Entertainment Worldwide, which includes Bad Boy Records; the clothing lines Sean John & Sean by Sean Combs; a movie production company; and two restaurants. On MTV's Making the Band he is the recording executive, performer, producer. Added to all his interests and accomplishments are writer, arranger, clothing designer, and Broadway actor. Between June 2017 and June 2018, Diddy earned $65 million from his various business and musical endeavors. Combs has won three Grammy Awards and two MTV Video Music Awards, and he was originally known as Puff Daddy and then as P. Diddy. His clothing line earned a Council of Fashion Designers of America award. 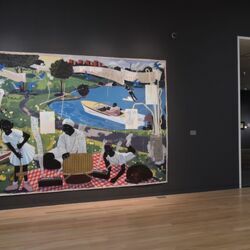 He was born in in Harlem, New York, the son of Janice, a model and teacher, and Melvin Earl, the family lived in a public housing project, and grew up in Mount Vernon, New York. Sean lost his father when he was a child, Melvin who was only 33 was shot to death in his car after a party in a Manhattan park. Melvin was a known an associate of Frank Lucas (the New York drug lord). Combs played football at the Roman Catholic Mount Saint Michael Academy. In his college days at Howard University in Washington, D.C he was known for marketing and gained a reputation as a party promoter. Sean has of five children and is the stepfather of another child, he has never been married.